October 18, 2016 – Aerojet Rocketdyne, a subsidiary of Aerojet Rocketdyne Holdings, Inc., has completed delivery of the first set of hardware for Boeing’s Crew Space Transportation (CST)-100 Starliner service module propulsion system. The Starliner is designed to ferry NASA astronauts to and from the International Space Station. The first delivered hardware includes the low-pressure port and starboard manifold assemblies, which will distribute helium necessary to push propellants out to the service module’s engines and thrusters. The spacecraft’s service module propulsion system provides integrated launch-abort capability on the pad and during ascent, along with all propulsion needs during a nominal flight – from launch vehicle separation, docking and undocking from the space station, and through separation of the crew and service modules when the spacecraft begins to re-enter the Earth’s atmosphere. Under its Commercial Crew Transportation Capability (CCtCap) contract to Boeing, Aerojet Rocketdyne is completing the design, development, qualification, certification and initial production of the service module propulsion system. As part of the contract, Aerojet Rocketdyne will provide shipsets of service module propulsion system production hardware. Each shipset will include Launch Abort Engines (LAEs), Orbital Maneuvering and Attitude Control (OMAC) engines, Reaction Control System (RCS) engines, valves, tanks and more than 500 feet of ducts, lines and tubing. 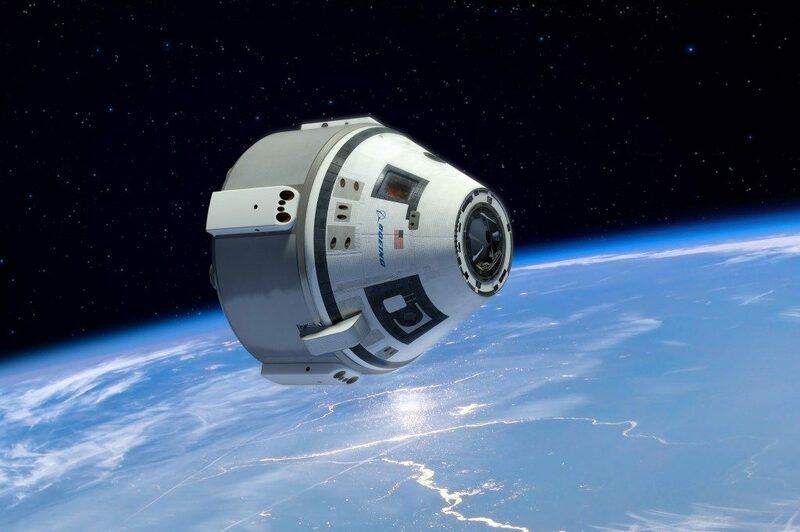 Boeing will assemble hardware kits into the service module section of the Starliner spacecraft at its Commercial Crew and Cargo Processing Facility at NASA’s Kennedy Space Center in Florida. Aerojet Rocketdyne also provides propulsion hardware supporting the Starliner crew module and Atlas V launch vehicle. The Starliner is targeting the delivery of astronauts to the space station for NASA, beginning in 2018. The Boeing’s CST-100 Starliner capsule will launch on a United Launch Alliance Atlas V rocket. The rocket’s configuration was unveiled earlier this week. ← Space-Based Droplet Dynamics Lessons?